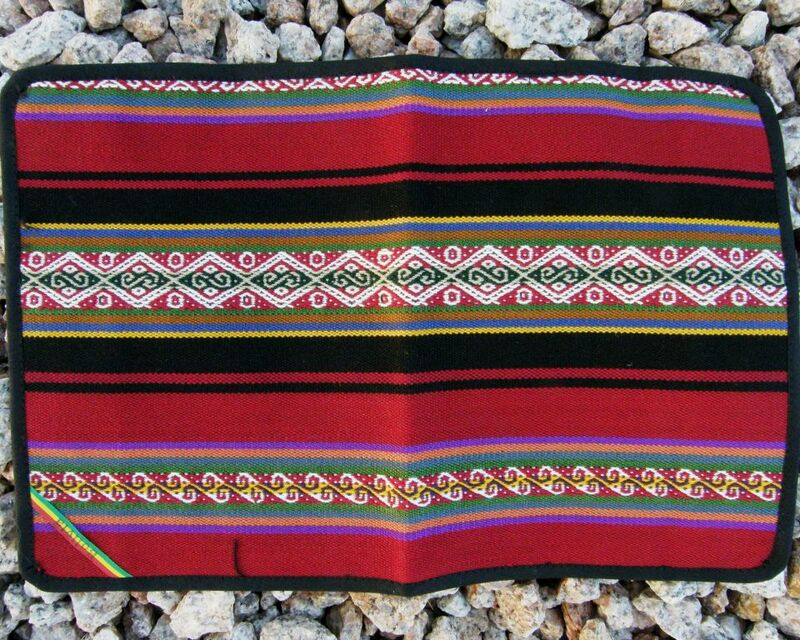 It’s an acrylic piece of cloth in lively colors with stripes and bands of two classic weaving patterns of the community of Chinchero in Peru. 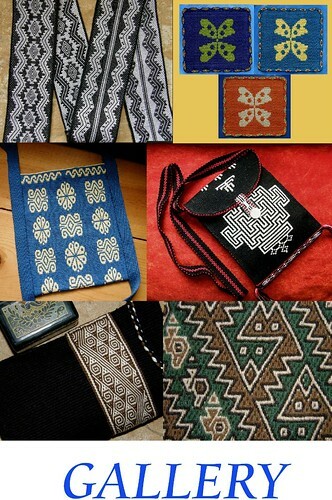 Anyone who has had anything to do with the Center for Traditional Textiles of Cusco (CTTC) will immediately recognize these patterns as they appear on hundreds of articles such as purses, bags, and table runners that are offered for sale there. The CTTC textiles have been woven with handspun naturally dyed wool and alpaca yarn. I have no idea where this small acrylic piece was made. 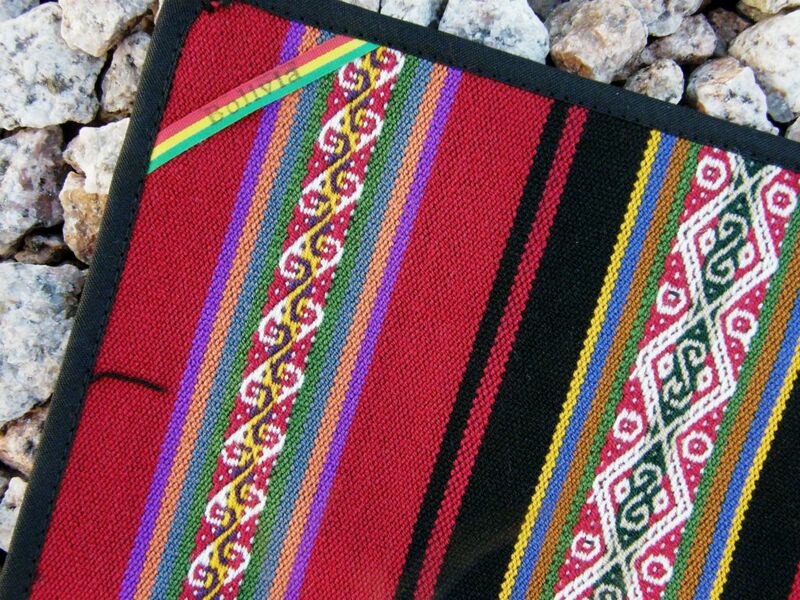 There is nothing to say that it originated in Chinchero, let alone Peru. It is edged and backed with synthetic material and has been designed to be used as a book cover. It has been very nicely put together. A friend of mine commented that, for all we know, it could have been made in China! 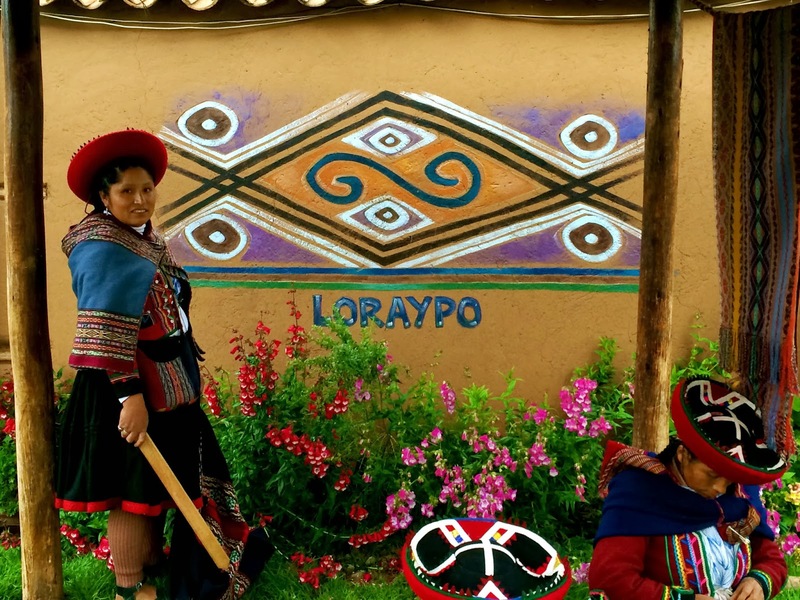 This image of the loraypo motif painted on a wall in Chinchero is from the webpage malloryinperu.blogspot.com. The most surprising thing about it for me is the small “Bolivia” label in the colors of the national flag that has been sewn diagonally across one corner. I suppose these pieces will show up in all the souvenir and duty free stores in airports across the region…Argentina, Chile, Peru, Bolivia and Ecuador… with a label representing the flag and name of each country. It is an example of patterns that have become “travelers”, having left their home in the high Peruvian Andes and wandered, as in this case, to appear with a different identity in such places as a Duty Free store in tropical lowland Bolivia. 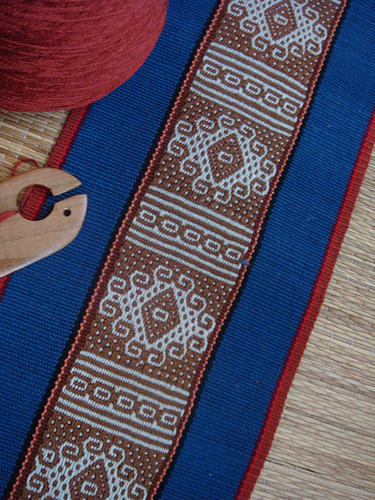 From these eastern lowland extremes, to the highlands of Ecuador in the west, the loraypo and jikaku sisan motifs (the spelling of these Quechua words seems to vary) appear in the work of other indigenous weavers. 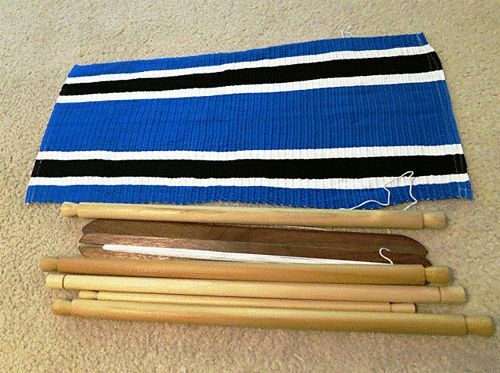 On my very first visit to Otavalo region in Ecuador, I saw the jikaku sisan pattern in pieces that had been woven in Ecuador by Miguel Andrango, fell in love with it, but had no idea about Peruvian origin of the pattern at that time. Miguel Andrango’s granddaughter sits alongside one of the pieces in progress in his workshop in Peguche, Ecuador. 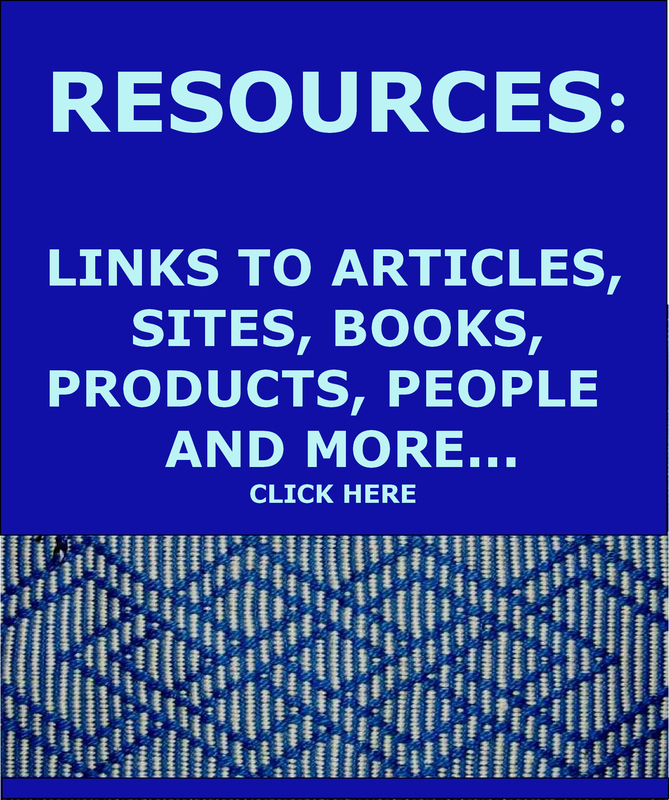 Lynn A Meisch writes in her book Andean Entrepreneurs: Otavalo Merchants and Musicians in the Global Arena (excerpts may be read online)…. 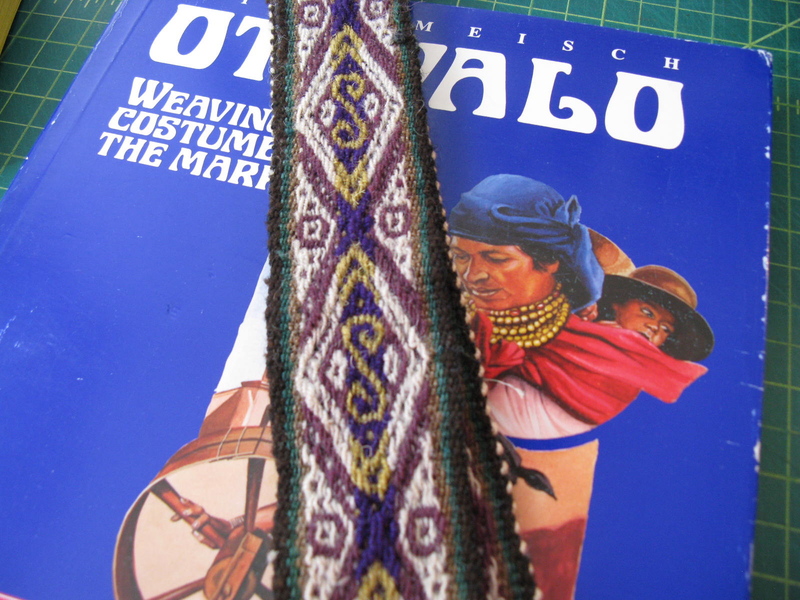 A band woven with the loraypo pattern by Ecudorian weaver Jose Cotocachi from the webpage kristincrane.blogspot.com. 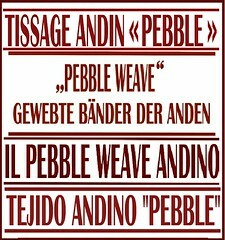 When Peace Corps volunteer Dennis Penley took his weaving teacher Miguel Andrango of Agato to Peru in 1973, they were harrassed by Ecuadorian and Peruvian police and border guards, who were outraged that a gringo and an “indio” were traveling together. Dennis and Miguel were hauled off buses for passport checks and questioning and subjected to considerable verbal abuse. The Peru trip was still positive for Miguel. 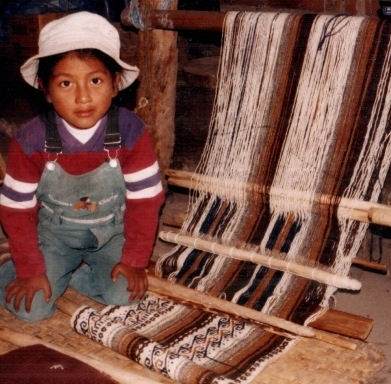 Indigenas in Chinchero, Peru, taught him their weaving techiques, which Miguel taught to other weavers in Agato and incorporated into his textiles. 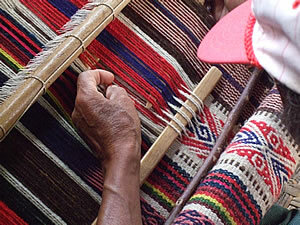 In the following picture of Miguel Andrango at work, from the web page of Isabella Whitworth (isabellawhitworth.co.uk), it seems that Mr Andrango uses a different technique for picking up the patterns to that used by Chinchero weavers I have seen at work. It looks like he first opens the shed of light warps and selects warps for forming the pattern. He saves them on a stick while he then opens the shed with the dark threads and does the same. 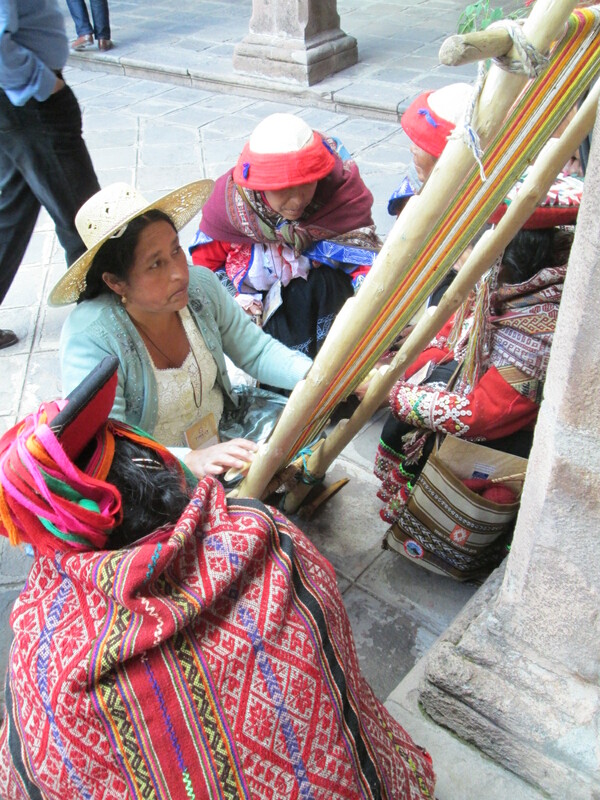 While on the theme of “travelers”… motifs which have left their place of origin…, I will tell you about one of my Bolivian weaving teachers, Maxima, who has been to both the Tinkuy events organized by Chinchero weaver Nilda Callañaupa and the CTTC in Peru. At the first one in 2010, which I also attended, she took the natural dyes workshop. 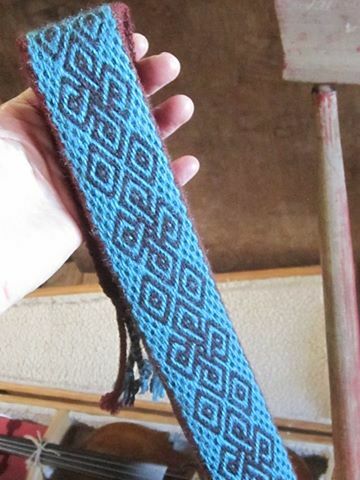 At the second one last year, she learned to weave four Chinchero motifs in one of the workshops and was able to add these to her own repertoire of patterns. 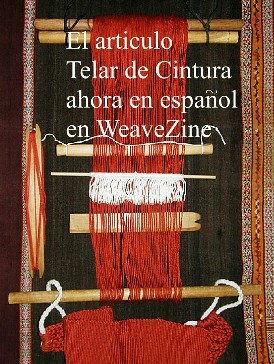 Maxima also demonstrated weaving at the Tinkuy on the leaning looms that are typical of her home of Independencia, Bolivia. 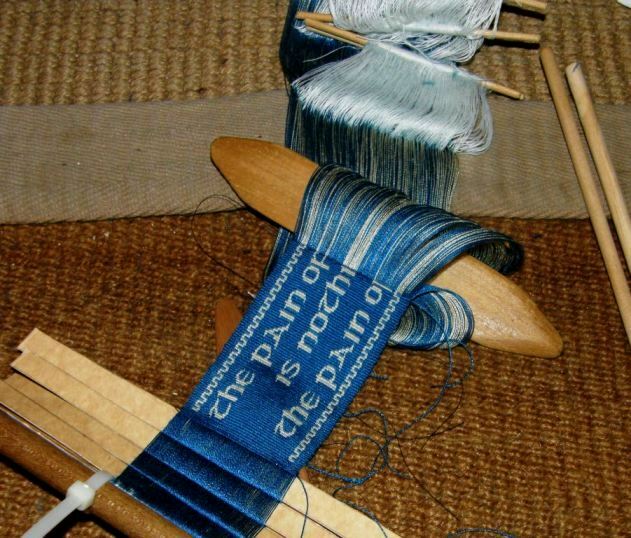 While some of the motifs woven in Chinchero are also used in Bolivian textiles (the mayo kenko pattern, for example, is used by Maxima in her home in central Bolivia where she knows it by the name linquito), many are unique to Chinchero. It will be interesting to see how Maxima chooses to use the new patterns and how they will spread within her community. Cooperatives are being formed and they are competitive. 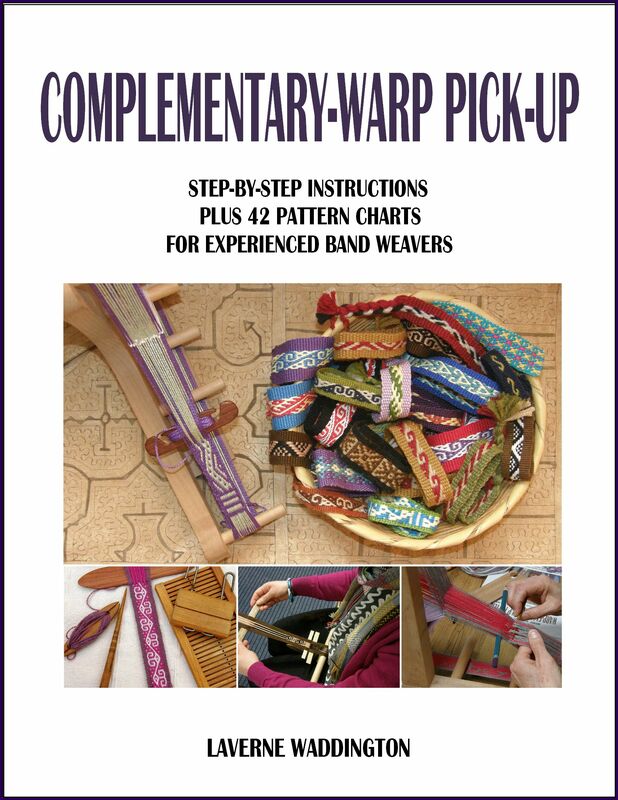 Weavers are always looking for new designs and techniques so that they can have the edge over their competitors by offering something new. A group of twenty-five spinners comprising Maxima and her peers with the team name of Warmis Phuskadoras will be entering the 2014 Spinzilla event in October. I don’t know a whole lot about Spinzilla and what it entails but it has been running very successfully for a few years now and this is the first year in which international entrants have been permitted. Thanks to sponsorship from Thrums and Clothroads, the ladies were able to pay the entry fee and register their team to join 1400 other entrants. 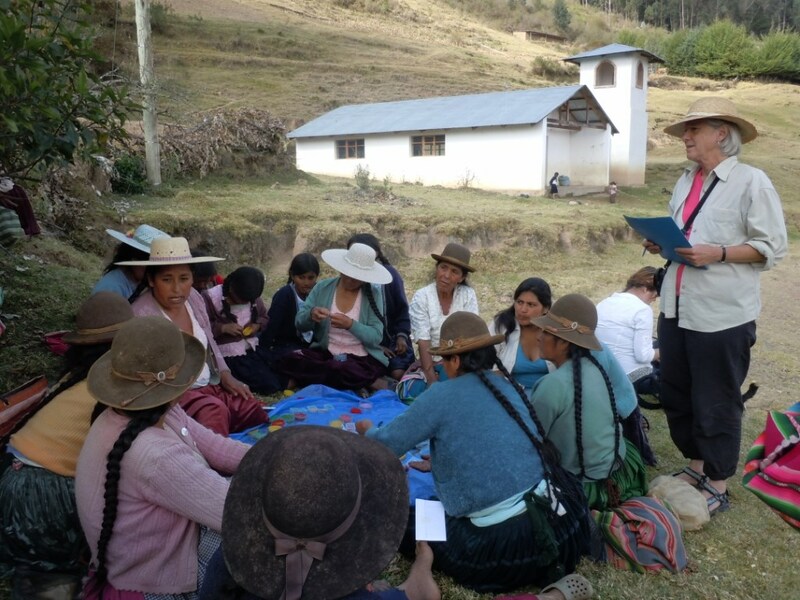 Read Dorinda Dutcher’s blog post on her PAZA webpage about preparations and post-contest excitement in the mountains of central Bolivia. Warmis Phuskadoras planning meeting. Dorinda reads in Spanish while Maxima translates to Quechua. 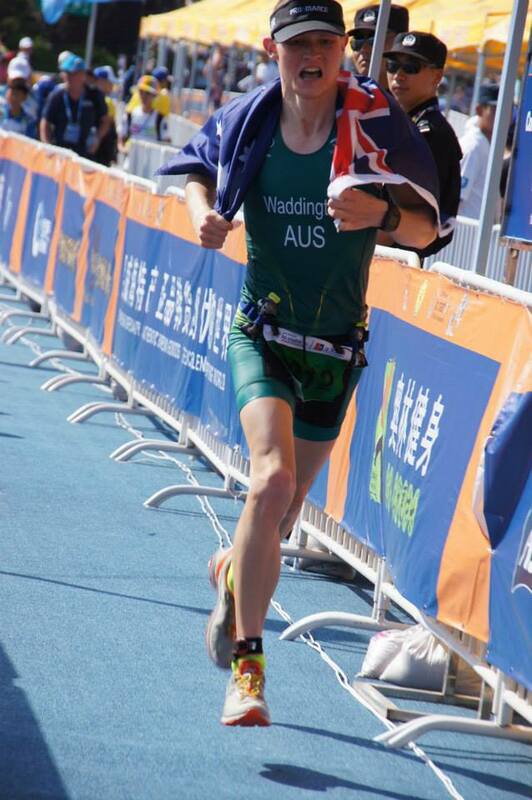 Another news item of a more personal nature involves my nephew, Ryan, and his bid for gold representing Australia in the World ITU Long Distance Triathlon Championships in Weihai, China. Some weeks ago I asked for your support by “liking” Ryan’s Facebook page. We were both quite overwhelmed by the response. It was wonderful!! And here on the podium…gold medal winner! I love that hat. He bought it when he was only 15 on a trip he and I took together to Ayers Rock. 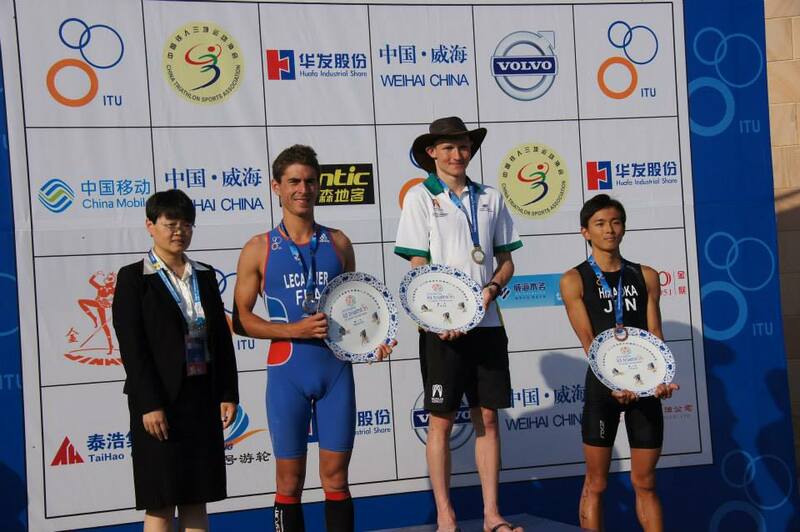 Who knew back then that it would travel to China with him and appear on the podium?! Finally I’d like to thank everyone who has supported me, my sponsors, family, friends as well as the weaving community who are associated with my aunt and really supported both her and myself by taking an interest in something and someone so foreign. He can always do with more support in the form of page “likes” to attract sponsors so, if you haven’t already done so, please “like” his page. 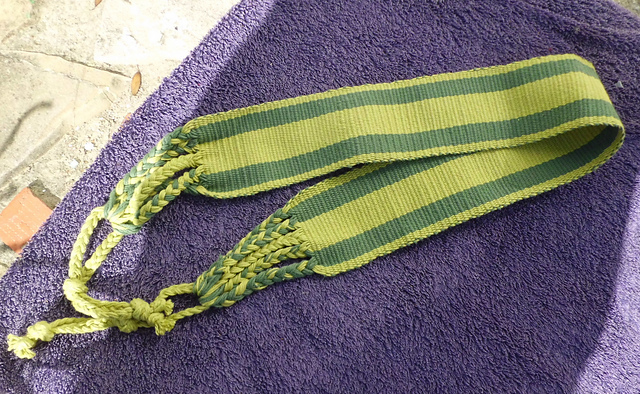 Now, I really must get my act together and make the silk bookmark I promised him. The prototype is below…”The pain of discipline is nothing like the pain of failure”… one of Ryan’s favorite inspirational quotes. Julia has been pushing her skills with the classic Andean hook even further with her latest piece..
A little piece of Tibet in western Massachusetts. 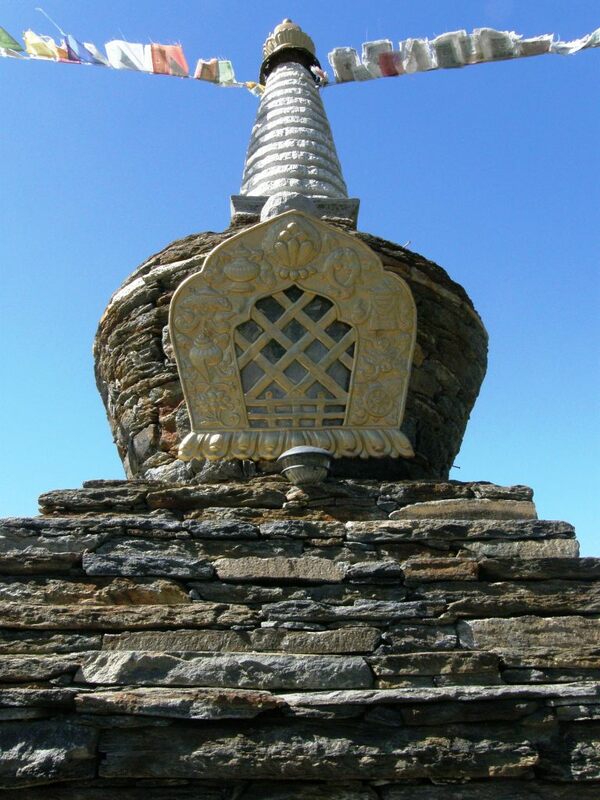 Liz’s landlord Sonam is a master stone mason. Since I last wrote a blog post, I have traveled from the tropics of lowland Bolivia to Massachusetts where the first nip of cooler fall weather was in the air. Hints of red were already showing against the greenery and I spent the fall equinox weaving with a group at Liz’s place. Over my four days there I made new weaver friends and also connected with several ladies who had woven with me before. 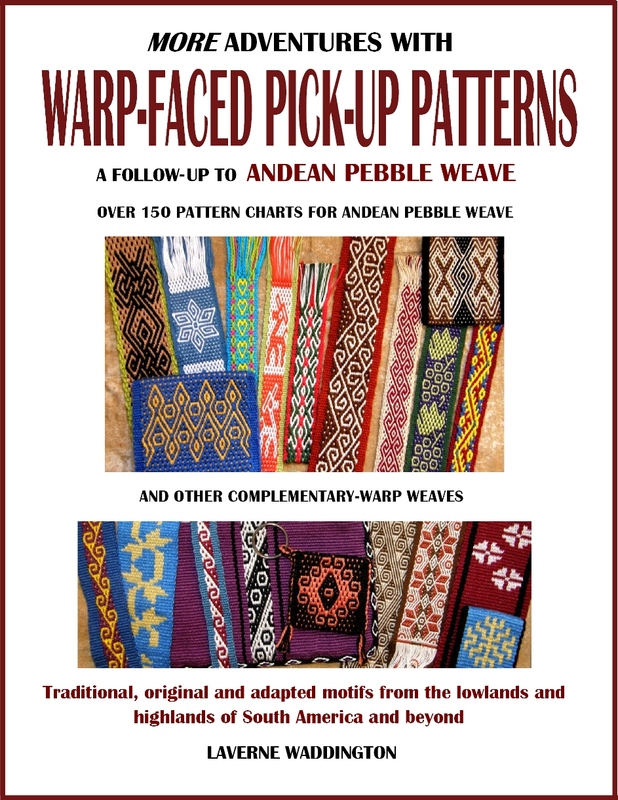 We created Andean hooks and tubular bands. Liz has moved into a new space since my last visit and has an even larger and more inviting space now. While we wove, the sister of her Tibetan landlord, dressed in traditional clothing, would be walking about outside. She doesn’t speak English and I was so hoping that somehow she would catch a glimpse of what we were doing and come and sit with us. Apparently, she walked in on one of Liz’s spinning groups one day and sat down happily to spin. And now I have traveled over to Arizona and I can’t imagine a more different environment! I am looking forward to a visit to the Heard Museum in Phoenix tomorrow to see their famous collection of Native American textiles. And so, I will leave you with something in keeping with this week’s “travelers” theme. 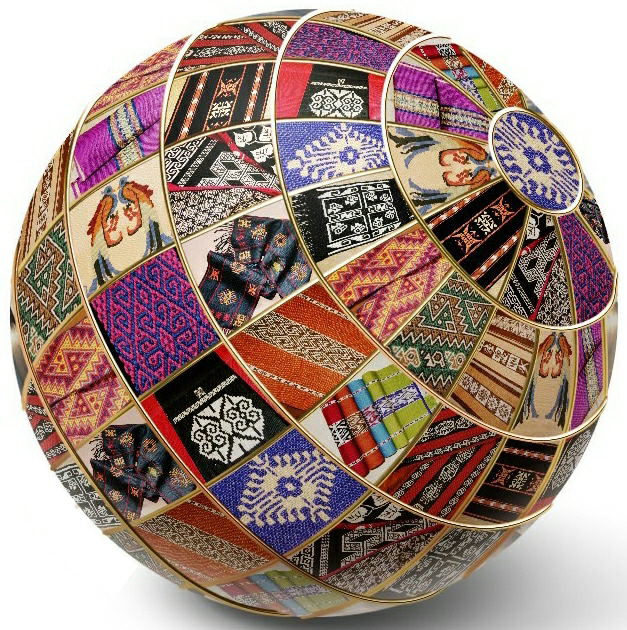 This is an image I made via a fun website which allows you to paste your pictures on a globe. Thanks, Connie. I’ll be up your way soon. Lovely post. Especially liked the part about Dennis Penley traveling with Miguel Andrango. So typical of Ecuador in the 70’s. I was called “la gringa india”, considered an insult hurled by the non-indigenous “blancos” when I would walk thru Otavalo with indigenous folk from the surrounding countryside celebrating Inti Raymi festivities. Now that the indigenous textile entrepreneurs are THE major economic force in Otavalo town itself, this is unlikely to happen, at least there. Money seems to talk, at least determining whether your insulted to your face or not. Thanks, Kathie. You must have some wonderful stories to tell of your time in Ecuador in the 1970s. Any chance you can share the website for the delightful globe?